If sewing is your line, you’ll love our fabric room – be sure to allow sufficient time to browse! Cotton and poly-cotton, flannels and fleeces, plaids and prints, dress fabrics and denims – we have over 5,000 bolts to choose from. 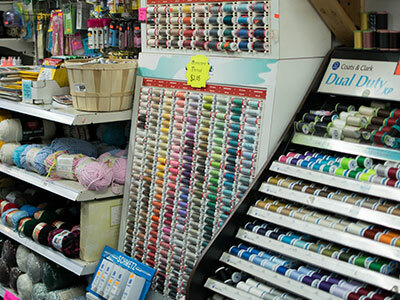 Needles, thread, lace, embroidery floss, yarn, and notions of all kinds make this a one-stop shopping trip to stock your sewing room. 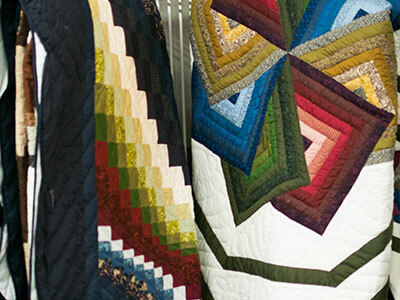 You’ll also find pattern books and various handmade projects, including quilts.